The What: The Clockaudio C303-RF Tri-Element is a hanging microphone array. Designed for audio or video conferencing, the C303 offers consultants and designers a new option when specifying hanging microphones in applications that demand the highest sound quality. 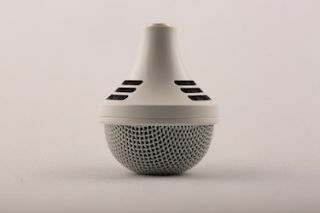 The What Else: This new product features three high quality Cardioid capsules covering a 360 degree pick up pattern. Each independent capsule is RF immune, will capture approximately 120 degrees and is optimized for speech intelligibility.